Certified Zentangle instructor Bonnie Pewterbaugh returns to Carriage Factory Art Gallery in Newton Saturday, September 13, for her fifth Zentangle day of classes to be held at the gallery. In “Beginning Zentangle” from 10 a.m. to 12 p.m. participants will learn the basic principles and guidelines for the art of Zentangle. No previous experience or artistic background is needed. In the afternoon class, “Tangle Print Impressions,” from 1 p.m. to 3 p.m., participants will learn to carve a tangle print relief print, transforming a simple monotangle into a work of art. From the original print impression, cards, decorative papers, fabric and more can be printed. Experience in Zentangle is required to participate in this class. All materials are included for both classes. Fees are $35 per class per person.. To reserve space or for more information, call the gallery at 316-284-2749. Clayton Staples is pleased to welcome Jennifer Ray, the new Professor of Photography and incredibly talented photographer. She is now leading the expanding photography program at Wichita State and will be available to on Thursday September 18th to discuss the work on exhibition as well as other questions from the audience in Room 210 McKnight. The artist talk will be followed by a reception down the hall at Clayton Staples also located on the second floor or the McKnight Art Building on Campus at Wichita State University. 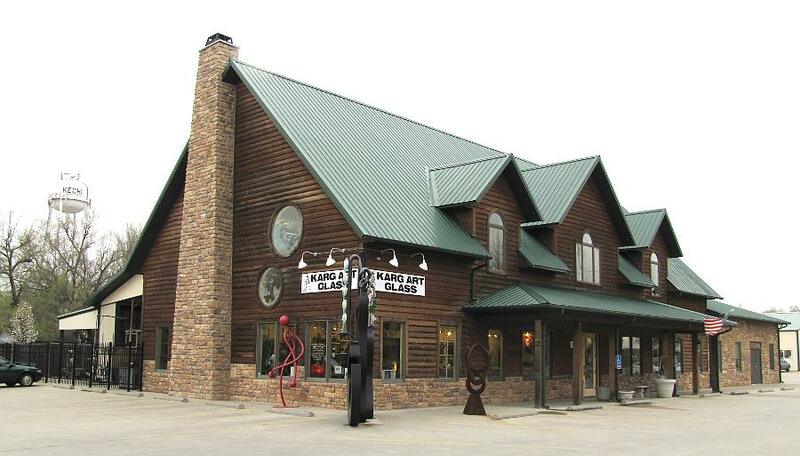 Clayton Staples is host to national and internationally recognized artists. Please join us as we welcome Jennifer Ray! Portland indie-soul-folk band Run on Sentence will tour behind the release of “Feelings”, their latest studio album, which came out on HUSH Records on July 15, 2014. Wichita State University’s Shift Space, a student gallery in downtown Wichita, opens a new show Friday September 10th. “Machine – Nature Interface” showcases work that our talented Project RunAway Best-in-Show Project RunAway Winner. Mike Miller has produced wonderful pieces in addition to his RunAway piece that will be in the show. “Machine – Nature Interface” runs through October 4th, with a closing reception on Friday, September 26th, 6 – 7 pm. Shift Space is in Wichita’s Commerce Street District at 416 S. Commerce St. Regular gallery hours are 1 – 4 pm on W, F, SA & Thursday 4 – 7pm. To learn more about Shift Space, go to www.shiftspacegallery.com or www.facebook.com/wsu.shiftspace. For the WSU School of Art and Design, go to www.wichita.edu/artdesign. The Kansas Authors Club program for September is: How to be a great writer. Our speaker will be Bonnie Tharp, a local Wichita published author of two women’s fiction novels entitled: “Feisty Family Values” and “Patchwork Family”. Come and be inspired by Bonnie. 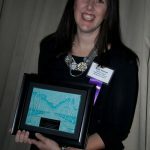 She has a full time job, writes women fiction novels, owns Scribble LLC – freelance writing with a flair for corporations, and does an outstanding job of promoting her writing. The meeting is Saturday, 13 Sep. 2014 from 2-4, at Rockwell Public Library, 5939 E 9th St N, Wichita, KS 67208. The meeting is free and open to the public. The Studios Inc. provides a three-year residency to competitively selected mid-career artists intent on moving to the next level of success. Expansive private studio space provides room to expand the scale of works. A patron underwrites each artist’s studio, building mutually meaningful relationships between local artists, and new and seasoned collectors. The Studios’ programs support the symbiotic relationship between artists and collectors essential for a thriving visual art community. The Studios nurtures symbiosis at a micro level with focus on a selected group of artists and the patrons who support them. 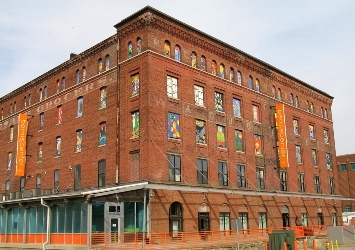 Combined, The Studios Inc. is a vital part of the visual art community’s unprecedented growth.A selection panel consisting of a variety of individuals from the Kansas City area is assembled and convenes; it is this selection panel that determines which applicants will be awarded studio spaces in 2015. Applications are currently being solicited at www.thestudiosinc.org; materials must be received no later than October 15, 2014.Residencies are open to all visual artists. The Studios Inc. does not discriminate on the basis of age, ethnicity, gender, economic or social standing, political or religious beliefs, marital status, or sexual orientation. Studios Inc. – 1708 Campbell – Kansas City MO 64108 – 816.994.7134 office – www.thestudiosinc.org. The Wichita Center for the Arts is proud to announce its National Small Oil Painting Exhibition will be on display through October 19, 2014. Kansas and Missouri. Spending time between Kansas and Massachusetts, Anthony continues to produce works of art which fill his galleries in the Midwest as well as the East Coast. His works can be viewed by going to www.anthonybentongude.com. The Wichita Center for the Arts (WCFTA) is proud to present two weekend performances of Lyle Kessler’s “Orphans,” September 19-21 & 26-28, 2014. Audiences will be seated on stage to experience the play directed by Shaun Michael-Morse and starring David Bailey, Damian Padilla, and Sean Gestl on a set designed by John Hammer. The “in-the-round” seating will offer up to 150 patrons a night an unprecedented view of the play and the completely upgraded light and sound system. In Orphans, two grown orphan brothers live in a dilapidated North Philadelphia row house. Deserted as children by an unfaithful father and the death of their mother, violent older brother Treat, provides for his younger brother Phillip by being a petty thief while forcing him to live in a world of illiteracy and innocence: relegating him to their lost childhood. When Treat kidnaps a gangster named Harold the tables turn. Harold, an orphan himself, loosens the ties that bind him and with gun in hand, puts himself into the role of teacher, healer and surrogate parent. This performance contains adult language. 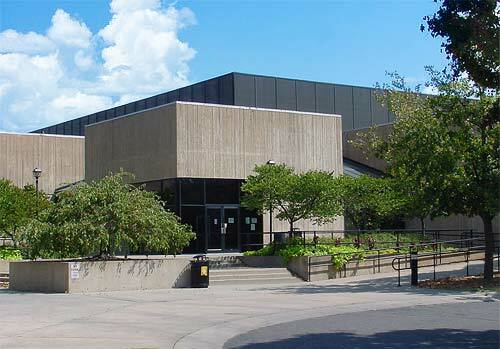 The Wichita Center for the Arts is the area’s oldest and most comprehensive visual and performing arts organization. For more than 94 years the Center has made art and art education available to the citizens of Wichita and the surrounding communities. Wichita Artist Kaye Abbott will lead a “Watercolor on Rice Paper” workshop Saturday, August 30, 9:30 a.m. to 12:30 p.m., at Carriage Factory Art Gallery; 128 E. Sixth St., Newton. The class is open to ages 14 and up, of any skill level. The class is $30 per person and is limited in size. 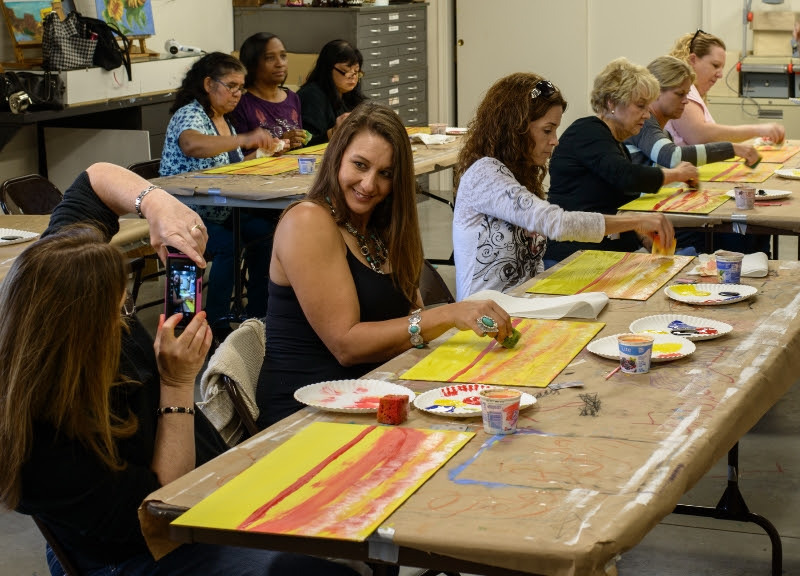 Participants are asked to bring watercolors, a fine line waterproof ink pen in a dark color, old paint brushes, and resource material for painting their subject matter. Reservations can be made by calling the gallery at 316-284-2749. 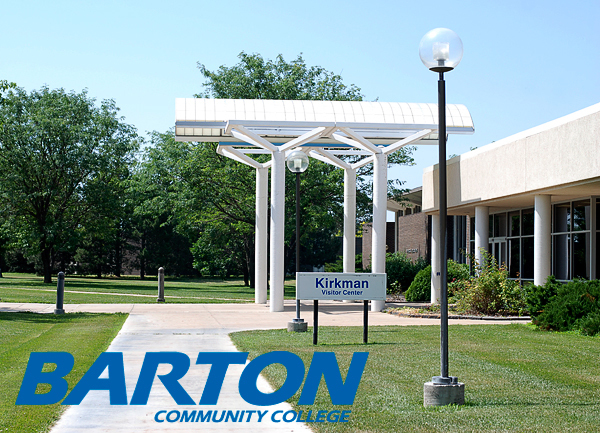 Central Christian College in McPherson, Kansas is expanding their art department to include pottery, stained glass and jewelry making and they are asking for a little help. They need good used equipment for all departments. If you can donate that would be a blessing but if you have any of these items for sale they would like to have the opportunity to talk to you. Please contact: Kaye Shuck at kshuck@cox.net or Naomi Ullum at nullum@cox.net. Santa Fe artist Ralph Roybal will display his fine art in bronze Friday, August 22, at a reception at Carriage Factory Art Gallery from 5:30 to 8:30 p.m. and Saturday, August 23, from 10 a.m. to 3 p.m. Thirty-one sculptures plus a selection of crosses will be for sale. Santa Fe artist Ralph Roybal returns to Carriage Factory Art Gallery, 128 E. Sixth St., for the first time in over four years to display his fine art in bronze for two days. Roybal is bringing 31 sculptures plus a wide selection of crosses that will be available for sale starting Friday, August 22, at a reception from 5:30 to 8:30 p.m. The sale will continue on Saturday, August 23, from 10 a.m. to 3 p.m.
Roybal, who has a loyal following locally, began his career as an apprentice in some of the leading bronze foundries of the Southwest. 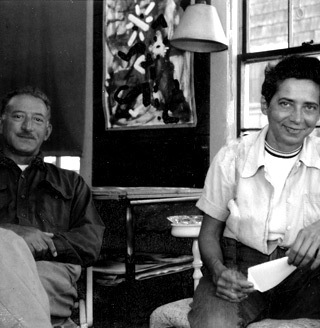 “In my early twenties, it was at Santa Fe Bronze where under the guidance of famous sculptor Ernest Berke, I began to realize my potential in bronze work,” Roybal said. Over the years, Roybal perfected his craft with a sense of detail, careful study and focus on the natural patina through the use of polychrome. Much of his subject matter is based on influential 19th century North American Native tribes and tribal leaders, depicting notable figures such as Geronimo, Black Hawk, Sitting Bull and Crazy Horse. Roybal’s works have won many first place awards in various Fine Art exhibitions and shows. His work is included in the Permanent Collection of the Gilcrease Museum in Tulsa. Roybal personally creates and completes all but the casting of his works. After detailing and applying the patinas, he signs, numbers and marks each bronze with his copyright. For more information, call 316-284-2749. The open is an exhibition for local patrons and visitors to The Copper Oven Café, celebrating contemporary art created by local emerging artists. The competition will be hosted at The Copper Oven Café, a locally owned family restaurant. The contest will be monthly, ranging with up to 10 pieces of artwork posted. During the month patrons will rate and leave comments for the artists. At the end of the month, the winner will be released and be moved up to the annual competition. After 12 months, there will be an artist of the year award. All 12 winners will be posted on Facebook, and we will conduct a poll to choose the best painting of the year. Monthly winners will receive a $10 gift card to The Copper Oven Café. Winner of the annual artist of the year will be asked to complete a mural to be seen by all at The Copper Oven Café. The Copper Oven Café has approximately 10,000 patrons per month. Jurors will be local patrons to The Copper Oven Café and any visitors who come to see the local art. Submission deadline will be 5 days before the end of the month. Show will open on the 1st Winners will be posted on Facebook on the 1st of the month. After the competition all non-winners will be posted throughout the restaurant and the artworks will be available for sale at that point. Winners will stay on the wall until the end of the Annual competition then pieces will be moved throughout the restaurant also for sale. We are relaunching 1st TUE Talks with Leading with Heart on September 2nd. We will discuss leadership, motivating/working with people and students, managing the process, failure, the frustrations, the technicalities and creativity. DR. MARK LAYCOCK is an Associate Professor of Music at Wichita State University, where he holds the Ann Walenta Faculty of Distinction Endowed Professorship. He serves as Director of Orchestras and Coordinator of Strings. His appearances with professional ensembles include the Wichita Symphony Orchestra, Wichita Grand Opera, and Opera Kansas, as well as orchestras in Slovakia and Canada. ERIC CRAWFORD is the Director of Orchestras at Wichita High School East, and is also the Orchestra Curriculum Coach for Wichita Public Schools, and serves as Department Chair for Performing Arts at East High. He is also the director of the Wichita Youth Symphony Youth Chamber Players, and is the Camp Director for “Bows at the Barn,” a summer music camp for middle and high school students. An avid performer, Eric has played in the bass section for the Wichita Symphony Orchestra for the past 17 years, and the Music Theatre of Wichita Orchestra for the past 14. At September 2nd’s 1st TUE Talk, Walnut River Brewing Company will be there to sample some of their beer! You will not want to miss this event! Walnut River Brewing Company is a microbrewery located in El Dorado, KS and offers growlers of beer to “go”. You can find their beers on tap at selected area restaurants and bars. When: Friday, August 22nd, 2014. Show begins at 8:00 p.m.
NAYMLIS Entertainment presents Kentucky Knife Fight, a five-piece punk blues band from St. Louis. The night’s line-up also includes three opening performances by Your Friend, Christian Lee Hutson and The Travel Guide. Come out and share this evening of eclectic indie-rock sounds with us at the historic Crown Uptown Theatre, near downtown Wichita. We’ll see you there! Tickets are $8 in advance, and can be purchased online at http://naymlis.ticketleap.com, or for $12 at the door. For more information about this and upcoming events check us out on Facebook and visit our events calendar at www.NAYMLIS.com. Artists and musicians are encouraged to contact NAYMLIS Entertainment at Booking@NAYMLIS.com for inclusion in future lineups. Meet and greet Jennifer Ray, the newest photography faculty member in the WSU School of Art, Design and Creative Industries at Senior Wednesday, August 20. Ray received her MFA in Photography from Columbia College, Chicago, and BA in Studio Art from Oberlin College, Oberlin, Ohio. Her work is in the collections of the Museum of Fine Arts Houston, the Museum of Contemporary Photography, Chicago, and the Kinsey Institute, Indiana University, and she has taught at Oberlin College, Columbia College, and the University of Illinois at Chicago. She will open an exhibition of her work at the Clayton Staples Gallery on August 25. Learn about Ray’s process, work, and new post with Wichita State, which begins this month. Join the Ulrich every third Wednesday for Senior Wednesdays; informational and entertaining programs for active seniors age 55 and better. Refreshments are at 10:00 a.m. with the program to follow at 10:30 a.m. Free, reserved parking for this program is available in the parking lot southeast of the Ulrich Museum, on 17th Street at Fairmount. Additional visitor parking is available in the Rhatigan Student Center parking lot on Perimeter Road. 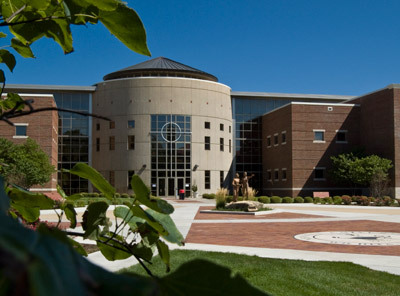 For more information about parking at WSU, visit wichita.edu/parking. Last week’s final Art For Your Ears concert with The Cherokee Maidens saw nearly 500 attendees, setting a record for highest attendance in the history of the program. Held once every summer month, the free outdoor summer music series is a mainstay for the Ulrich, bringing music, performance, and visual art together in a casual setting on the McKnight Outdoor Plaza. Thank you to all who attended Art For Your Ears this summer. You’ve made it our best season yet. This month’s issue of Art in America features a Museum Preview for 2014-15. Our fall 2015 exhibition, Postdate: Photography and Inherited History in India, is highlighted on page 46. Curated by Jodi Throckmorton, and organized collaboratively by the San Jose Museum of Art and the Ulrich, this exhibition will examine India’s colonial history and the way that 21st century identities have been influenced by Independence and Partition. The exhibition will be accompanied by a full-color catalogue and public programs that are not to be missed. Curious what the Ulrich has been up to in the news? Check out the media page on our website! Welcomefest is a two-week series of events at the beginning of each semester that includes entertainers, crafts, and other programming to welcome students back to a new school year. Events are sponsored by WSU student groups and campus departments. FRIDAY, SEPTEMBER 5, 7–9 P.M.
Free for WSU students and Ulrich members. $10 for general public. RSVP at (316) 978-3664. This event limited to Ulrich Salon Circle members. For information on how to join, call membership at (316) 978-6646. Happy August from Gallery XII! We would first like to thank everyone who attended the opening reception for the Crazy 8’s Show at the end of July. After 5 years it is going strong and that is all thanks to you and the amazing artists who take part. We had nearly 70 works of art that will be on view through August 26th. Congratulations to this Year’s Winning Artists! 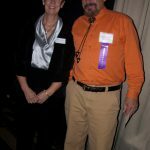 Honorable Mentions were awarded to Mary Ellen Williford and Robert Schmidt. Many Thanks to our wonderful judge, Stephen Gleissner! Mark your calendars for our next Exhibition! We will also be featuring the ceramics of Alaine Kuestersteffen. Opening reception will take place August 29th 5:30 pm-10:00 pm and will be on view through September 23rd. 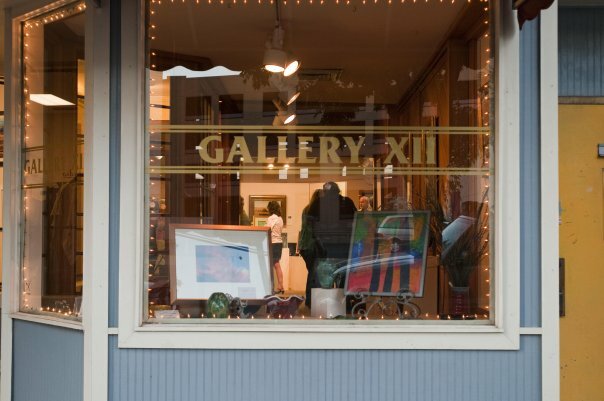 We hope everyone has had a wonderful summer and we look forward to seeing you soon at Gallery XII! TFA presents the 4th annual Dudegrass: A Big Lebowski Extravaganza on Saturday, August 16th from 5:00 to 9:00 pm at Northrock Lanes. The evening features a Q&A with Special Guest Peter Exline (inspiration for Walter), unlimited bowling/shoe rental, screening of the cult classic THE BIG LEBOWSKI, the live music stylings of DJ Carbon and J Skratch, costume contest, Cards Against Nihilism, Briefcase Roulette, the “Bunny Lebowski Manicure” by Eric Fisher Academy, food specials from AJ’s Sports Grill and other whatnots. Admission is $15 and costumes are encouraged. Dudegrass is sponsored by Northrock Lanes, Tallgrass Brewing Company, 107.3 The Brew and KMUW. Click to read more & to purchase tickets. The 12th annual Tallgrass Film Festival announces the first of its official selections with the six films nominated for the Vimeo Stubbornly Independent Gala. Over 100 eligible films were submitted and the six contenders were selected by the Tallgrass Programming Committee. A jury of industry professionals will select the winner. To be eligible, films had to be a US production made for under $750,000 with no traditional theatrical distribution at the time of the festival. In addition to the Gala screening, the winner will a receive $2,500 cash prize from Vimeo, a one night theater rental from AMC Theatres, and the Stubbornly Independent Tallgrass Tap Handle Award. 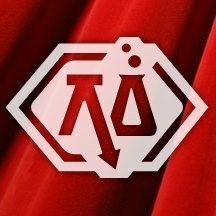 And the 2014 Stubbornly Independent nominees are: A IS FOR ALEX, FIVE STAR, HALF BROTHER, MAN FROM RENO, PRETTY ROSEBUD, and THE LIVING. The winning film will be announced in early September. Visit the Bethany College @ Mindfire Academy Open House (3805 E. Harry) this weekend from 11:00 am – 4:00 pm. An education from Bethany College @ MindFire will give you the tools you need to get a career in the digital arts started. Offering a variety of tracks towards graduation, by attending Bethany College @ MindFire, you can learn 3D animation, filmmaking, video game design or audio recording arts and all instructors are industry professionals. Students are able to earn either a certificate in any of the four focus areas or a bachelor of arts degree with a focus in either 3D animation or digital filmmaking. Even if you’re still in high school, students can get a head start on their collegiate careers and graduate with transferable college credit! Juniors and seniors are welcome to apply for classes while they continue to finish their high school curriculum. Bethany College @ MindFire is home to the region’s only motion capture stage, a studio with a dedicated green screen, two audio recording studios equipped with Pro-Tools and studios for traditional art classes. Bethany College @ Mindfire Academy is the presenting sponsor for the Tallgrass Film Festival’s Timothy Gruver Spotlight on Kansas Filmmakers. More than 40 works in fiber by six area artists will be featured in the “Woven Paths” fiber art exhibit opening Saturday, August 9, at 7 p.m. at Carriage Factory Art Gallery, 128 E. Sixth St., Newton.The public is invited. 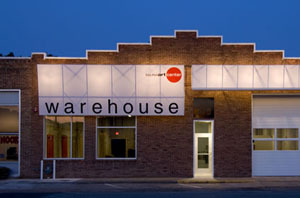 The Wichita Center for the Arts, March 27 – May 10, 2015. $7500 in cash and purchase awards. $30 for 3 entries. Postmarked deadline: December 29, 2014. Juror: Barbara Shapiro, San Francisco, CA. Information and Prospectus available at www.wcfta.com, 316.634.2787, or email areep@wcfta.com. You won’t want to miss the opportunity to acquire items for a New York City Socialite’s estate. Many fantastic items like jewelry, art, purses, decorative items, collectables, books, brick brac & pieces from around the world. Three days only! Thurs, July 31; Friday, August 1; & Saturday, August 2 at the South East corner building in Clifton Square. Shop from 8am to 6pm & purchase some lovely & unusual items. Happy Final Friday! Little more than one week remains to view the Ulrich Museum’s fortieth anniversary exhibition, Forty Years/Forty Stories. Featuring works by Benny Andrews, Duane Hansen, Robert Motherwell, Gordon Parks, and Andy Warhol, among others, this exhibition celebrates the stories, people, and objects that have helped shape the history of the Ulrich. The galleries are open this weekend and next from 1 to 5 p.m., and Tuesday through Friday, 11 a.m. to 5 p.m. In preparation for the upcoming fall exhibitions, Bruce Conner: Somebody Else’s Prints and 1974: Selections from the Permanent Collection, the second floor galleries will be closed August 4 through September 4. Join us for a Beat era-inspired Fall Opening Reception on Friday, September 5 from 7 to 9 p.m. Admission is free for Ulrich members and WSU students, and $10 for the general public. Oakland, California-based artist, Lisa Solomon, installed an exhibition of her work, created a new piece, and participated in community activities during her visit to the Ulrich Museum of Art for the month of July as our first-ever artist-in-residence. Interested in the way that work is categorized according to gender, and how that categorization affects the way the work is received, Solomon mounted an installation of 1,000 crowd-sourced, hand-crocheted doilies at the Ulrich. She asked for participation in her SEN: 1,000 Doilies installation by sharing her self-produced “how to make a doily” video via social media and her blog, and received responses from all over the world. Similarly, while in Wichita, Solomon crowd-sourced 1,000 hand-drawn doilies and hand-tied French knots, and completed a new installation specifically for the Ulrich. Come view what KMUW’s Lindsey Herkommer Devries called “A Dazzling Spectrum of Floating Color” through September 28. 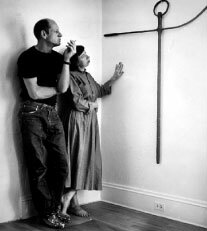 The Ulrich hosted so many fabulous openings and exhibitions during the tenure of curator Elizabeth Dunbar. I especially enjoyed the Not So Cute and Cuddly exhibition (and Martini Party!). Here is a snapshot of me in stuffed animal attire with a roving Cookie Monster. Thanks to the Ulrich for bringing joy, wonder and beauty to Wichita. SUNDAY, AUGUST 3, 1–5 P.M.
THURSDAY, AUGUST 7, 7–9 P.M. The Museum is celebrating its 75th anniversary this year through special exhibits and an anniversary party. The question has been raised: Just how many 75+ year old businesses and institutions are there in Sedgwick County right now? There is no central listing for this information so the Museum asks the public to help in compiling such a list. Submissions can be sent by email to wschm@wichitahistory.org or otherwise delivered to the Museum at 204 S. Main, Wichita, KS 67202. 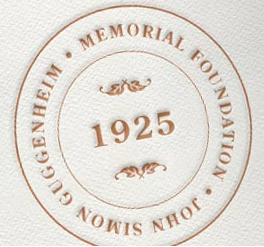 The list assembled will be made public in September at the Museum’s Anniversary Party. About the Museum Establish 1939 by the citizens of Wichita after years of planning. Today the Museum is accredited by the American Alliance of Museums and is celebrated as one of the top local history museums in America. 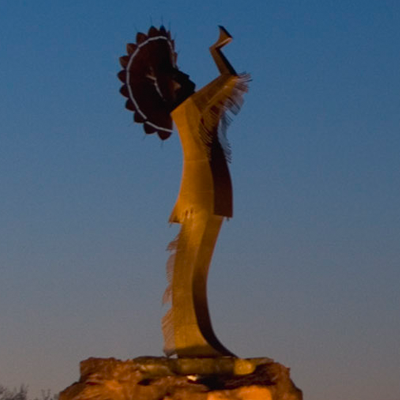 To provide a world class Museum experience, advancing the understanding and exploration of the rich historical and cultural heritage of Wichita and Sedgwick County Kansas. The Wichita-Sedgwick County Historical Museum’s mission is to educate the community and its visitors about local history by collecting, preserving, and interpreting materials reflecting the heritage of Wichita and Sedgwick County. MANNHEIM STEAMROLLER CHRISTMAS by Chip Davis has been America’s favorite holiday tradition, and this year marks the 30th anniversary of the group’s annual tour. Grammy-award winner Chip Davis has created a show that features the beloved Christmas music of Mannheim Steamroller along with dazzling ultimedia effects performed in an intimate setting. The spirit of the season comes alive with the signature sound of Mannheim Steamroller music. Join in the 30th anniversary celebration of Mannheim Steamroller Christmas. Don’t miss this ultimate holiday tradition from the #1 Christmas music artist in history! 10 a.m. Monday, July 21 before they go on sale to the general public at 10 a.m. Friday, July 25. Visit www.wichitaTIX.com to select and purchase your tickets. Call 316-303-8100 to purchase over the phone. Visit the WichitaTIX box office, located inside the Concert Hall Foyer, Monday-Friday from 10 a.m.-5 p.m.
“From his vantage point in the heart of the Flint Hills, photographer Harold Gaston captures Kansas images most people overlook…whose passion is showing off his native state with out-of-the-ordinary photographs.” For Dave Leiker, he will tell you that “his styles are strongly influenced by a love of the common snapshot. He strives for a natural, spontaneous feel and a minimum of formality.” Together, they will show you an exhibit filled with breath-taking and inspiring images of Kansas. Join us Friday, July 25th, 5-7 pm at Artist Central 5014 E Central for a showing of a young artist Marissa Kucharek Photography. She is a 2016 Graduate of North High & plans to attend college for a degree in Fine Arts. 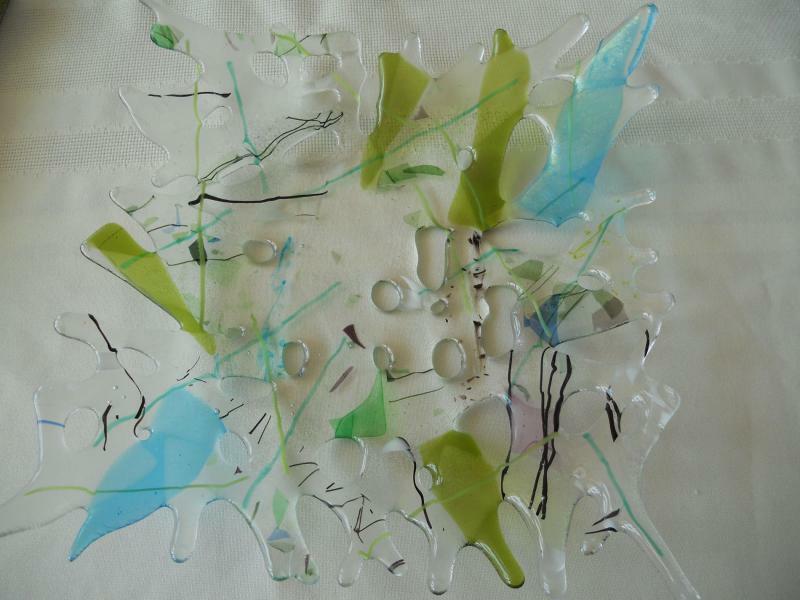 Also showing is Mixed Media by Bruce Robinson. Other artists are Jo Zakas & Bob Bayer. call 316-686-2266 for an appointment to view. Sale event: Friday, July 25, 7:00 – 10:00 p.m. The Summer Print Sale is an annual fundraising event offering collectible fine art photographic prints for discounted sale prices. 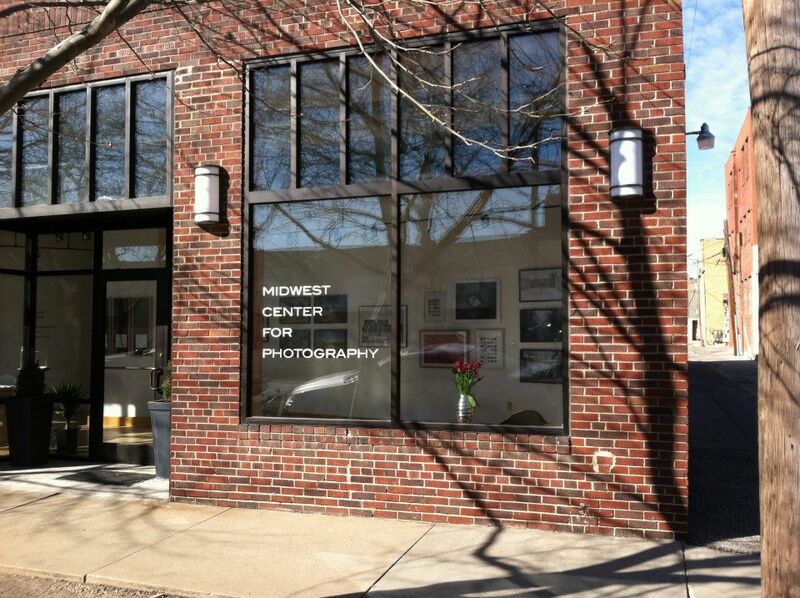 Come out and purchase photographs to help support the exhibitions of fine art photography in Wichita at Center Gallery. All proceeds for work sold will go to the benefit of the public programming at Center Gallery at the Midwest Center for Photography. New to the website this year: Order Online! Click the buy now button next to the image, make the purchase, list the title of your chosen photograph in the description, and the framed print will be packaged and shipped to your door. Thank you in advance for your purchase. Online sale prices end at midnight, Friday, July 25th. Final Friday, July 25 from 5pm – 9pm. In her two-week residency at Harvester Arts, Philadelphia artist Anne Schaefer is creating a large-scale installation along the 50′ wall in WSU’s ShiftSpace gallery. Experiential in its scale and optically charged through Schaefer’s careful combination of colors, the work seeks to cultivate a perceptually immersive experience for the viewer. 1st Anniversary Party with live music by Andrew Foshee, and light food & drinks. Join us for wine, hors d’ oeuvres and an evening of fine art as we welcome our new exhibit featuring the unique and celebrated work of Clark Britton and Rebecca Hoyer. For nearly sixty years, Clark Britton has enjoyed a long freelance career and professional recognition with his printmaking, painting, book design, and digital paintings shown in national, regional, and international exhibitions. He is a Professor Emeritus of Art and Design from Wichita State University and since retiring in 2000 has been engaged in making images of Kansas. Rebecca Hoyer took her degree from Washington University in St. Louis, then studied painting at the School of the Museum of Fine Arts in Boston and with Knox Martin at the Art Students League in New York. She then developed her unique style in Wichita, Kansas, reinventing the landscape around her College Hill neighborhood. An active member of the Wichita arts community, her paintings fall on the delightful side of disturbing, the comfortable side of unfamiliar, and leave the viewer always with a renewed sense of the possible. The Wichita Birthday Party – Happy 144th! Sunday, July 20st 2014 from 1- 5 pm. Held at – The Wichita-Sedgwick County Historical Museum. Celebrate the day and discover Wichita’s remarkable history wandering the 4 floors of the Museum’s exhibits located in Wichita’s original 1890 city hall building. 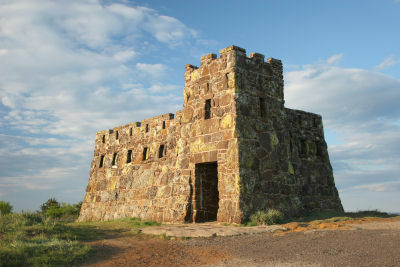 Enjoy special tours, crafts, activities and refreshments are scheduled from 1 to 5 pm. Admission is free to those individuals and small groups bringing a Birthday Card! Supported in part by the City of Wichita and Sedgwick County Kansas. Join us for a weekend full of activities on Friday, July 25 and Sunday, July 26 to celebrate CityArts’ 10th year in Old Town Square. The “CityArts Xtravaganza” will include free activities for the general public on Friday night and a gala Saturday evening. Activities will include: birthday cupcakes, the 6th Annual Sculpture Walkabout unveiling, and CityArts class demonstrations. 7 p.m. to 9 p.m.Tickets are currently on sale for $50 each, and may be purchased at CityArts or online at WichitaTIX.com. Tickets will also be available at the door the evening of the event. Guests will enjoy several “Taste of Downtown” food stations, wine in keepsake glasses, silent and live auctions, and CityArts class demonstrations. The focus of the evening will be the CityArts scholarship fund which is administered through the Arts Council. Last year, CityArts welcomed more than 5,000 students through its doors. The money raised during the CityArts Xtravaganza will make art classes even more accessible to everyone, regardless of their financial stats. For more information about activities on either day, contact CityArts at 316.350.3245.We hope to see you there! 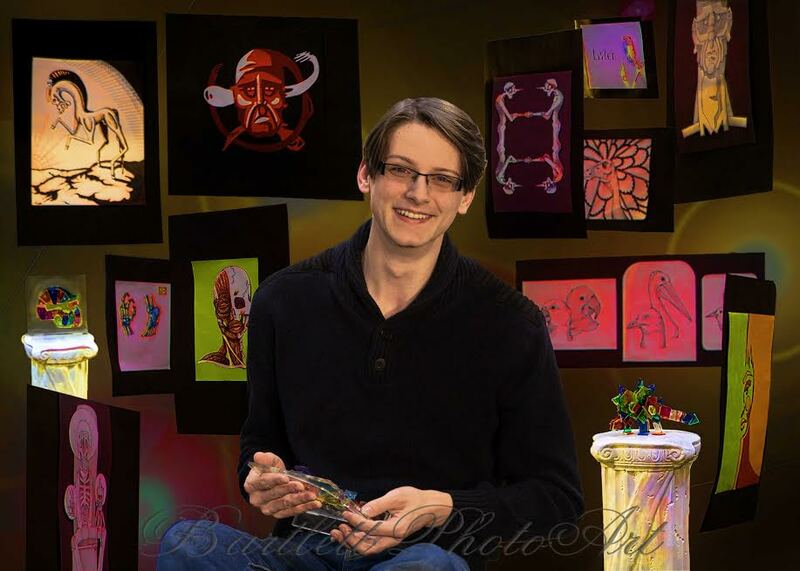 Kyle Houseman is a recipient of the “Ericka J Stucky Scholarship for Continuing Education in Art.” He and fellow recipient David Montelongo will be honored Thursday evening, July 17, at Carriage Factory Art Gallery, 128 E. Sixth St., Newton. Kyle Houseman and David Montelongo, 2014 recipients of the “Ericka J. Stucky Scholarship for Continuing Education in Art” will be honored Thursday evening, July 17, 6 to 8 p.m., at Carriage Factory Art Gallery, 128 E. Sixth St., Newton. Selected pieces of their art will be on display in the main gallery. 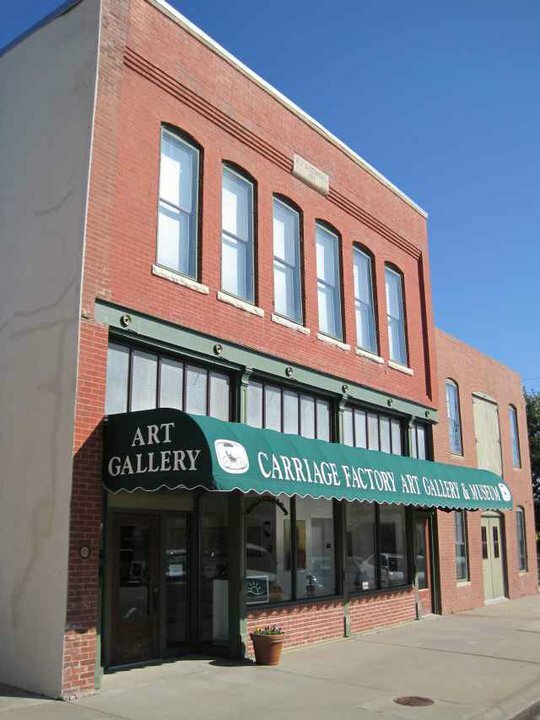 Carriage Factory Art Gallery annually awards an art scholarship to a high school senior who has interest in pursuing a career in art. Montelongo and Houseman will share about themselves and their plans for the future. Music for the evening will be provided by the band “Outside the Walls” and refreshments will be served. The event is free to the public. For more information, call the gallery at 316-284-2749. The 4th annual DUDEGRASS – A Big Lebowski Extravaganza is happening on Saturday, August 16th from 5:00 – 9:00 pm at Northrock Lanes (3232 N. Rock). It’s a nihilist celebration that really ties the room together, man.The evening features Special Guest Peter Exline (inspiration for Walter), unlimited bowling/shoe rental, screening of the cult classic The Big Lebowski, the live music stylings of DJ Carbon and J Skratch, costume contest, Cards Against Nihilism, Briefcase Roulette, food specials from AJ’s Sports Grill and other whatnots.Tickets are $15 and may be purchased in advance or at the door.Dudegrass is sponsored by Northrock Lanes, Tallgrass Brewing Company, 107.3 The Brew and KMUW..5:00 pm: Doors Open5:15 pm: The Big Lebowski Screening #1 in AJ’s Sports Grill7:15 pm: Q&A with Peter Exline (inspiration for Walter)7:45 pm: Costume Contest8:00 pm: The Big Lebowski screening #2 in AJ’s Sports Grill*Exact times subject to changeTHE BIG LEBOWSKI– (1998) is a cult classic film directed by Joel and Ethan Cohen, and starring Jeff Bridges, John Goodman, Steve Buscemi, Phillip Seymour Hoffman, John Turturro, Sam Elliott and Julianne Moore. (Rated R)Tallgrass Filmmaker Lab: Movie Openings: Getting Things Started Right with Peter ExlineOn Saturday, August 16th before Dudegrass, join our Special Guest Peter Exline (inspiration for the character of Walter in the Cohen Brothers The Big Lebowski) for a Tallgrass Filmmakers Lab Movie Openings: Getting Things Started Right. The class takes place from 10:00 am – 1:00 pm at House of Schwan (3232 N. Comotara.) Space is limited, advanced registration required ($20. )The opening sequence of a film (the first 10-15 minutes) tells an audience what to expect and establishes just about everything an audience needs to know. The class will explore the importance of the beginning of movies by examining the opening sequences of six different films, some dramatic and some comedic, to see how much information an audience gleams from those pivotal scenes.Peter Exline has worked for Warner Bros., Mace Neufeld and Michael Douglas supervising screenwriters. 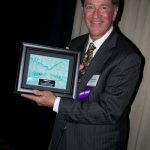 As a free-lance reader he has “covered” more than 10,000 screenplays for agencies ICM, CAA, AMG and others, television for HBO, Fox and NBC, and feature film projects for numerous independent companies such as Mandalay Productions, Artisan Entertainment, Turner Pictures, to name a few. He has taught at U.S.C.School of Cinema-Television since 1992, as well as U.C.L.A. Writer’s Program. He has lectured on screenwriting in America and abroad.VIP TALLPass for the 12th annual Tallgrass Film Festival is on sale now through July 31st for just $165!Cinema About Town July 10, 7:00 pm: CREATURE FROM THE BLACK LAGOON (3D), $5 (Wichita Orpheum) July 11, TBA: OBVIOUS CHILD presented by TrustWomen (Warren East) July 14th & 15th, 7:00 pm, 10:00pm: SORCERER, $5 (Warren Oldtown) – The 7:00 pm screening on July 14 will be followed by a live Skype Q&A with Director William Friedken. 1. Why enter this contest or any other. Benefits and costs. 3. Dates for the start and end of the KAC contest. When winners will be announced. 4. Guidelines for KAC contest. 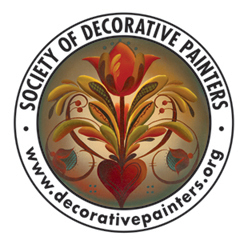 Louise Pelzl will lead a discussion about judging a contest. How important is it? If time permits we will have a general discuss of writing questions. The District 5 meeting is Saturday, July 12, 2014, at the Rockwell Library in Wichita from 2:00-4:00 p. m. The meeting is open to the public. The works of Kent Williams, current Fisch Haus Artist and co-founder, will be on display at The Wichita Center for the Arts from July 25-27, 2014. Kent Thomas Williams is a Wichita and Lawrence based studio and public space artist. This exhibition will feature his work; Visual Record of a Noisy Planet, (850”x44”) which explores natural environments, the genius of place, and corresponding supernatural realms. Join us for a Final Friday, Opening Reception on Friday, July 25th from 7:00 p.m. to 9:00 p.m. There will be live musical entertainment, cash bar and a Gallery Talk by the artist, Kent Williams. 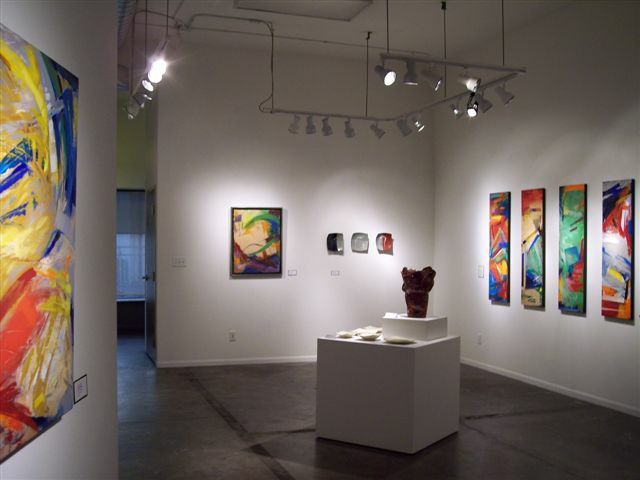 The Wichita Center for the Arts gallery is open Tuesday-Sunday, 1:00 p.m. – 5:00 p.m. Admission is always free. 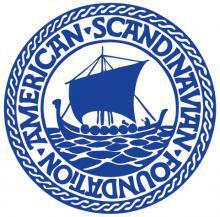 Final Friday Gallery Crawl, June 27, 6 – 10 PM, & by appointment thru July 11, 2014. The Fiber Studio, 418 Commerce, Wichita, KS, 316 303-1996. Towne East Square is looking to decorate the mall common area (inside) and outside property with various pieces of abstract artwork from Wichita community artists. We are looking for sculptures of the medium- large variety in all types of materials for the inside of the mall. Preferably 5 foot tall or more and no more than 4 feet around or wide. We have many different spaces available so we can be flexible. We are also looking for large- extra large sculptures for the outside of the property. Metal or other weather resistant pieces of artwork are a must. All displays can be labeled with the artist name and a selling price if desired. Pieces must be free of any religious or political message. If you’re interested, contact Jodi Karlin at jkarlin@simon.com or (316)686-4849. Fantasy art, hand-made artist books, mosaics and hand-built pottery will be featured as creative expressions of five local artists Thursday, 6- 8 p.m., at Carriage Factory Art Gallery, 128 E. Sixth St., Newton. The event is free to the public. Music will be provided by the NUTS (Newton Ukulele Tunes Society) and refreshments will be offered. Ethan Patrick Harris, Rachel Epp Buller, Mary Lee McDonald, Judy Brees and Ruth Brees Peer are the five member artists of the gallery whose work will be featured through August 9 on the gallery’s mezzanine level. A hand-built library (by Judy Brees) will be one of several ceramic pottery pieces for sale by Judy Brees and Ruth Brees Peer at Carriage Factory Art Gallery starting Thursday. First item of interest: Nikki Moddelmog and the Mischief Makers are hitting our stage this Saturday night, the 21st of June, from 8-10pm. It will be, and I quote directly from the Grand Mischief Maker herself, a “CD Release, Nikki’s Birthday, Mark’s Going Away (temporarily), Dennis’ 16th BikeAcrossKS and Shane’s Not Dead PARTY!” Probably not something you want to miss. Admission by donation, open to all ages, and BYOB (sadly not open to all ages, however). Next up, an event we’re particularly excited about: Projecting Process, Fisch Haus’ first digital media exhibition, opens Final Friday, June 27, from 7-10pm. Presented in collaboration with Cinema 1 Film & FX and the Tallgrass Film Festival, Projecting Process is a multimedia exploration of the transformation from conception to finished product, highlighting elements of the creative flow unique to video art and experimental filmmaking. The interior/exterior installation will include crowd-driven interactive projections by Curt Rierson and Aaron Wirtz; the world premiere of Cinema 1’s newest music video, String Theory, starring Alexander Matthew Schneider and Amanda Blackmon; live music by Uche and the Crash and Lancelot Ponder, aka electronica artist Fox; and various process-to-product demonstrations and documentaries of several works in the exhibition. We’d like to thank James Burghart, at Conference Technologies Inc, for making the rental of a large exterior projector possible for us! Lastly and most assuredly not leastly: our not-for-profit arm, Fisch Bowl Inc. is VERY proud to share the news that we recently were awarded a $10,000 matching funds grant from the Kansas Creative Arts Industries Commission (KCAIC) to help us build an ADA-compliant restroom, the last link in the “welcome all our friends” chain. Being that it’s a matching funds grant, we’ll be kicking off a massive fundraising effort soon, so keep checking in via website, fb and/or twitter if you’d like to be a part of it! More details to come. And, this is as good a time as any to say thank you again, to everyone who donated to our ADA lift campaign; in fact, a (brave) test-pilot showed up at the Final Friday event last month and completed his trip smoothly and uneventfully, so we’re looking forward to many more successful journeys between street and front dock from now on. Please join us in getting the word out that the lift is up and running, and let us know if you’d like to avail yourself of it! Down to the Wire a 24 HR Film Race Starts this Weekend! For the third consecutive year, Tallgrass Filmmakers Lab and CreativeRush unite THIS FRIDAY for DOWN TO THE WIRE: A 24 Hour Film Race, presented by Blacktop Nationals. The race takes place from June 20-22 and participants can enter on their own as a team of 1-15 people. Teams have 24 hours to write, produce, shoot and edit a short film that is six minutes or less. All films are required to include elements that are randomly selected at the beginning of the race! Wichita Habitat for Humanity (WHFH) is a Christian housing ministry in Sedgwick County. WHFH builds home for low-income families in our community that qualify for the program. WHFH’s 3rd annual signature event, Raise the Roof is Saturday, September 13, 2014 at Grace Hill Winery (Whitewater, KS) at 5:00pm. 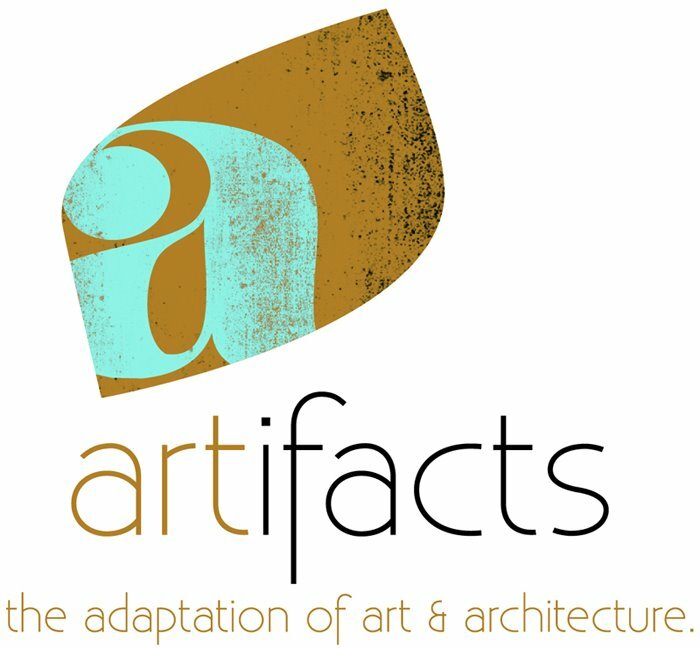 WHFH is calling for artists to donate unique pieces to the event. Guests at Raise the Roof enjoy live and silent auctions, wine tastings and tours, and a BBQ dinner. Artists may use material from Wichita Habitat’s Restore – a discount home improvement store selling new and gently used building materials to the public with all proceeds benefitting the mission of Wichita Habitat. Please notify Jill before acquiring materials from the ReStore. Artists will benefit from exposure at the event, engagement with their community through support of Wichita Habitat. More information about the event at www.wichitahabitat.org/raise-the-roof. Call Jill at 316.269.0755 (office) or 785.248.1336 (cell) or email jill@wichitahabitat.org with questions or to arrange pick-up/delivery of the item. Please fill out the WHFH Donation Form and mail to address listed on form with item, or keep with item when picked up. The arts enhance our quality of life, promote economic development and help build vibrant and connected communities. The arts are a vital part of our city’s future; this forum will focus on city government’s role in supporting the arts and implementing a comprehensive cultural plan. Questions will allow candidates to share their knowledge and level of support for arts and culture in Wichita. We have an exciting opportunity to make our voices heard through our votes – and the time is now! 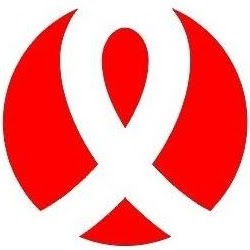 One of the primary colors in the Wichita flag is red; as a show of solidarity and unity we are asking those who support arts and culture in Wichita to wear red at this event. Our hope is this show of solidarity will make an impression on each candidate and increase their awareness of how important arts and culture are to a large proportion of voters. This event is sponsored by The Arts Council, KWCH and KMUW. 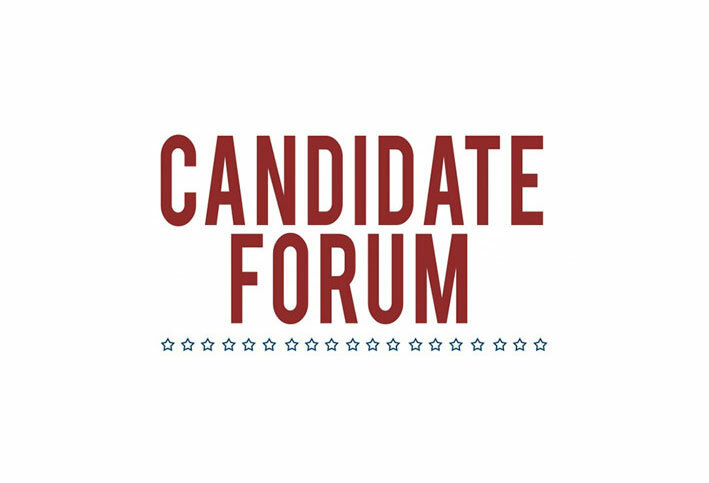 Also, please mark your calendars for the City Council Candidate Forum on March 19th. 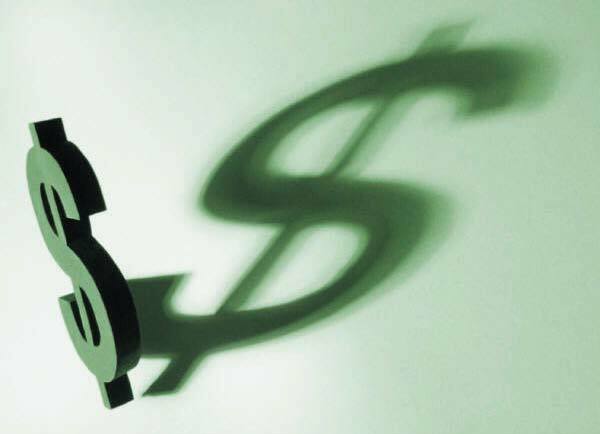 The Arts Council has a received a $5,000 grant from the Kansas Creative Arts Industries Commission, which receives support from the National Endowment for the Arts, a federal agency. This generous grant will support the purchase of a video screen for CityArts to display information about exhibits, events, CityArts classes and other community arts and cultural events. This screen will help create a more interactive and visually-appealing environment in CityArts and will provide opportunities to share relevant information with CityArts visitors to promote our community’s many artistic and cultural offerings. The CityArts Boutique carries one-of-a-kind artwork, jewelry and unique gifts made by local and regional artists who receive 70 percent of each sale. The CityArts Boutique is the perfect place to purchase gifts and support local artists at the same time. The Boutique has everything from bracelets made out of Kansas license places to ceramic vases to a 10-foot Robert Pin made out of steelthat is too big to simply be called a bobby pin. 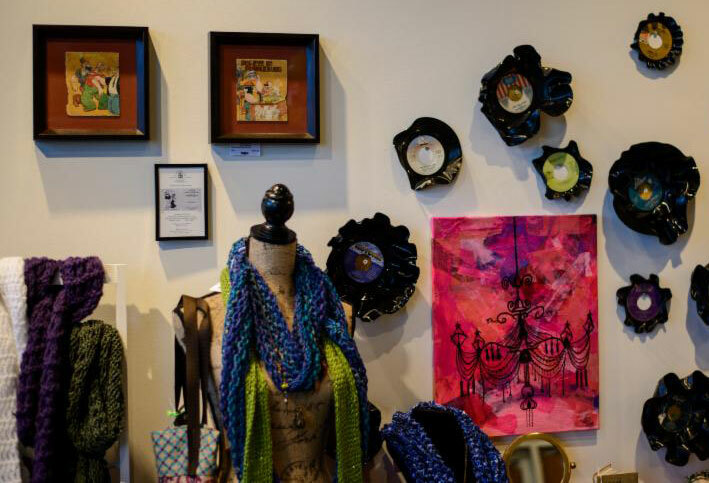 The CityArts Boutique is jam-packed with photography, paintings, blown glass and decorative pieces made by more than 35 local and regional artists, many of whom teach art classes at CityArts. The majority of items are between $15 and $50. With new items constantly added to the inventory, no two visits to the CityArts Boutique will be the same. Boutique hours are 10 a.m.-9 p.m. Monday-Thursday, 10 a.m.-5 p.m. Friday, 10 a.m.-9 p.m. Final Friday and 10 a.m.-4 p.m. Saturday. For more information call CityArts at (316) 350-3245. 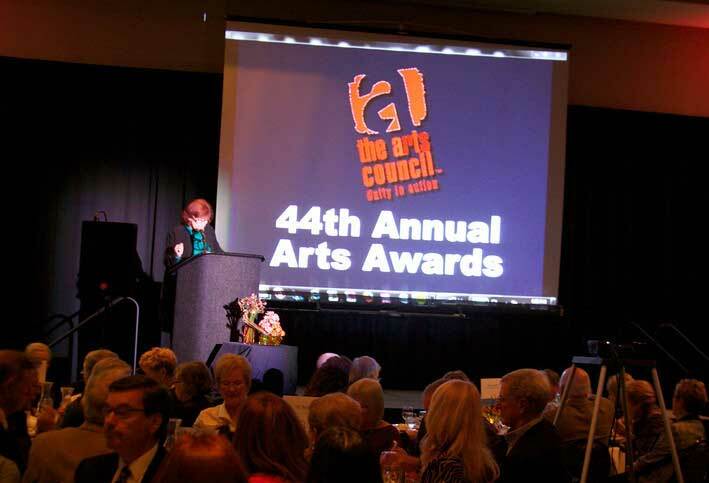 The ARTS COUNCIL, Inc. of Wichita has issued a sponsorship grant to establish a new event to acknowledge and reward unrecognized and outstanding talent in the visual arts community of Wichita, Kansas. 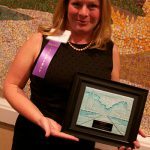 The goal is to publicly recognize outstanding effort and to further encourage a career path mindset of area visual artists. The FRIENDS of the WICHITA ART MUSEUM will host this inaugural event. A juried exhibition of works from the finalists and award recipients will be held during the Friends of the Wichita Art Museum 55th Annual Art and Book Fair. This will be a “Special Exhibit” presentation at Century II, Exhibition Hall, May 9-11, 2014 during the Art and Book Fair and the “La Noche de Fiesta” Preview Invitation event the evening of May, 9, 2014. Display will be in a display location designed exclusively for this fine arts exhibition. 1. Exhibit of selected works from all finalists from May 9-11, 2014 in Century II, Exhibition Hall, during the Art and Book Fair. 2. Up to three (3) cash awards from a field of shortlisted finalists. (exhibit room to be determined by artist and City Arts staff). ALL NOMINATIONS MUST BE POSTMARKED OR TIME STAMPED BY MARCH 31, 2014 12:00 A.M. CST. You can visit us at our website for more information. 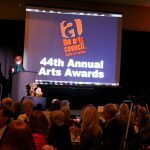 Arts On Broadway is a non-profit organization with a mission to enhance fine arts opportunities for the metropolitan Wichita community. 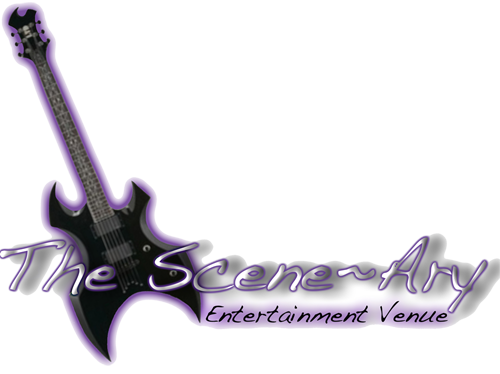 Experience the joy of fine performances from a wide variety of artistic genres in an inspirational venue. Dedicated to celebrating all art forms, Arts on Broadway is planning to host several events throughout each season to exhibit exceptional vocal and instrumental musicians as well as multiple disciplines of the visual arts. Enjoy these exhilarating activities blessing the city. 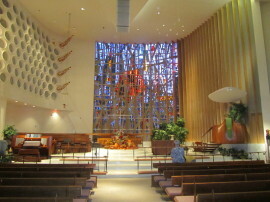 First United Methodist Church in downtown Wichita, the venue promotes an atmosphere of architectual beauty while experiencing stimulating performances. The recent addition of state of the art sound and video systems ensures all seats will provide an excellent aural and visual experience. 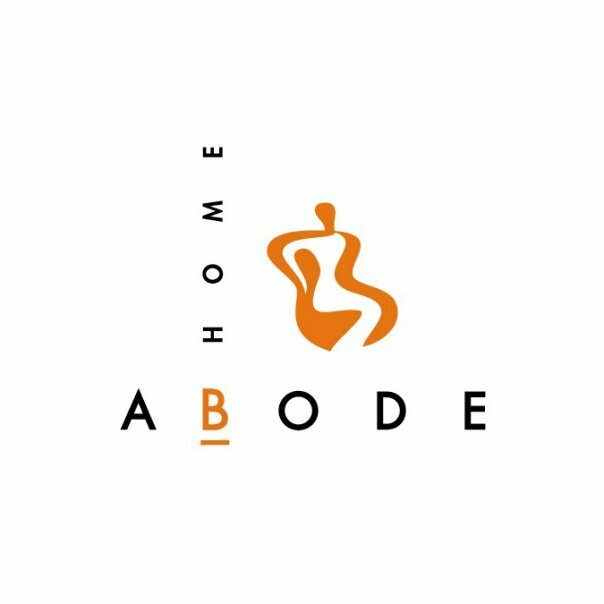 We invite you to experience with us the best that the arts have to offer. Book your event at CityArts Event Venue. Our facility can handle business meetings, family gatherings, Receptions, Showers, Birthday and Retirement parties for groups from ten to one hundred guests with tables and chairs provided. With flexible booking rates, open catering and a sound system available for use it is a great place to hold your event. 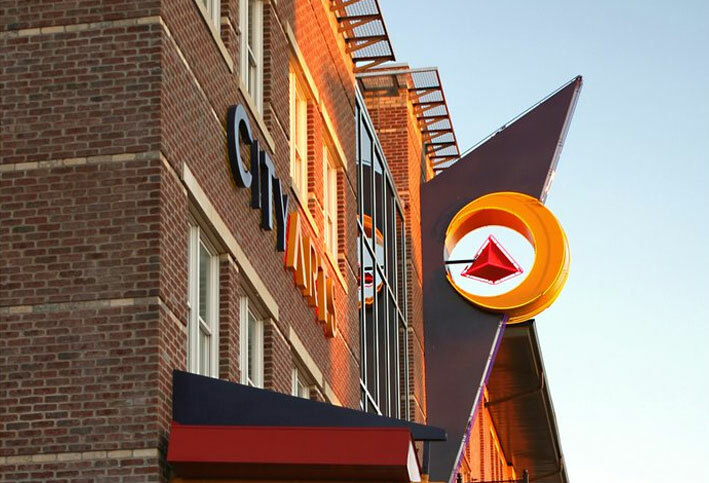 CityArts is a focal point for all cultural arts in our community. It is a home for gallery exhibitions and arts events. Centrally located in the Old Town District, in walking distance from hotels, restaurants and shops. For Booking Availability call 316-350-3245. 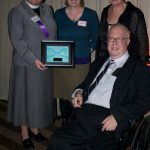 Chris Shank — Gordon W. Evans Award given to a patron demonstrating outstanding leadership and special support for the arts. 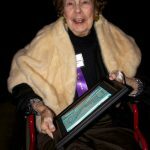 Joan Cole – Arts Advocate/Individual given to an individual dedicated to furthering the cause of the arts in general through promotional, volunteer, administrative, legislative and professional efforts. 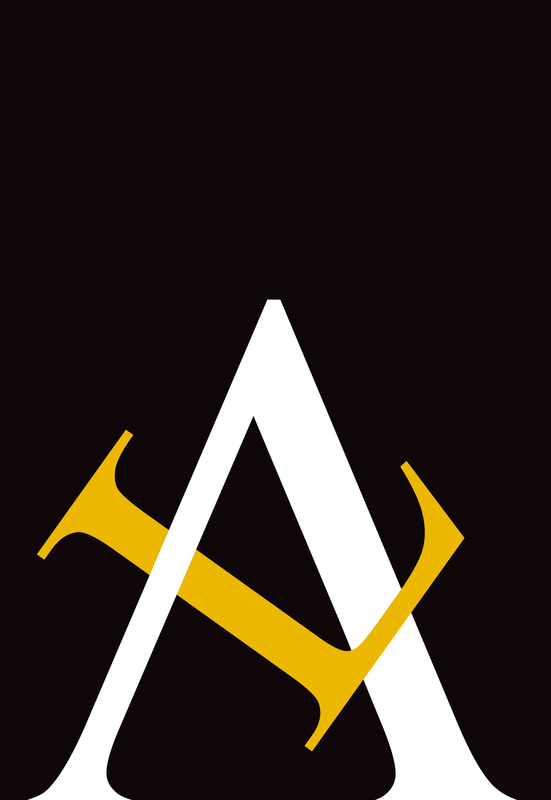 St. James Episcopal Church – Arts Advocate/Group given to an organization dedicated to furthering the cause of an art form specifically through its Guild Hall Players, its After-School Program featuring an arts-based curriculum, its annual Art a la Carte, and its three choirs. 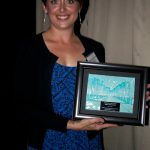 Bluebird Arthouse – Business Award given to a business providing broad-based and continued support of the arts through its operation. Exploration Place – Special Project Award given for its Star Wars Exhibit. 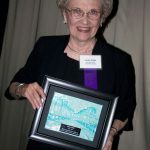 Aimee Geist – Arts Educator Award given to an individual who has devoted a career to instruction in the arts in an educational environment (the Ulrich at WSU). Babs Mellor – Special Recognition/Individual Award given for outstanding contributions to the arts through her vast body of work and her instruction in sculpture spanning 40 years. Julianne McLean – Burton Pell Award given to an outstanding individual in music. 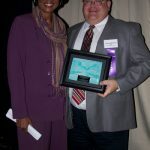 Friends of WAM – Arts Organization Award given to a public, not-for profit organization that provides arts opportunities to the Wichita community and region. Curt Clonts – Individual Artist Award given to an artist actively working in one of the arts who has shown outstanding achievement. 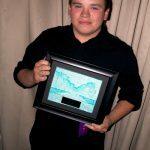 Daniel Debolt – Youth Recognition Award given to a high school or middle school student who has shown outstanding achievement and development in the arts. 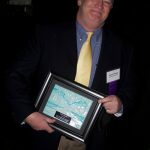 MKEC Engineering Consultants, Inc. – Chris Cherches Award given for outstanding work on a public works project. This award is presented for the Lincoln Street Bridge and Dam project. The art awards will be presented at a gala banquet on Thursday, Nov. 7 at the Drury Plaza Broadview Hotel Grand Ballroom, 400 W. Douglas. A reception and dinner starts at 5:30 p.m. with the awards program beginning at 6:30 p.m. The public is invited to attend. Tickets are $50 each or $450 for a table of 10. Seating is open with the exception of the reserved tables. Tickets may be ordered through Nov. 4 at www.wichitatix.com or by calling 316-219-4849. Public Art Chattanooga, in collaboration with Glass House Collective and CARTA, is seeking proposals for original, two-dimensional designs that will be wrapped on bus shelters in the Glass Street community of East Chattanooga, Tennessee. 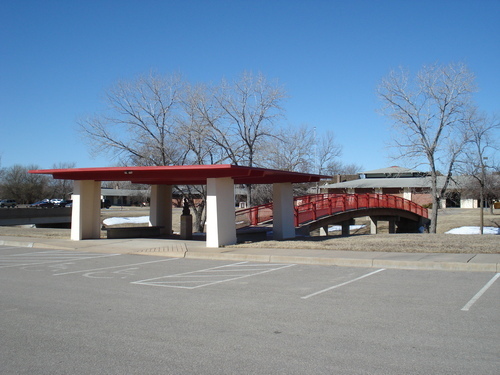 Three designs will be selected to be featured on three shelters for the duration of two years beginning in the summer of 2013. The selected artists/designers will receive a $2,000 honorarium for their design. 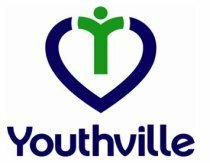 This RFP is open to all visual and graphic artists and artist teams over the age of 18, who currently reside, work, or attend a university within 50 miles of Chattanooga, TN. Applications must be received by May, 17 2013, 4:00 pm. No exceptions. Refer to page 4 for application procedures and note specifications. The Application can be found on page 8 of this ATTACHED document or downloaded at: http://www.publicartchattanooga.com/about/guidelines.htm. Download Full Call To Sculptors! 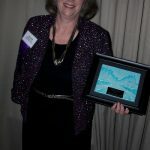 The Clackamas County Arts Alliance is accepting applications for a new City of Happy Valley sculpture garden program at City Hall which is designed to enhance the public environment and promote understanding and enjoyment of public art by inviting artists to exhibit their art on a temporary basis. Six artists will be chosen by the Art Selection Committee to display artwork at exterior locations around City Hall (view locations and pad specifications). The exhibit period is June 2013 through May 2015. All submissions must be previously completed artworks – no artwork proposals will be accepted. 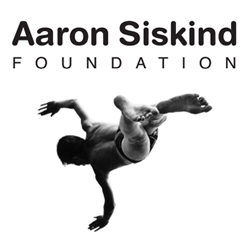 The Aaron Siskind Foundation is offering a limited number of Individual Photographer’s Fellowship grants of up to $10,000 each, for artists working in photography and photo-based art. The Emergency Assistance Program is intended to provide interim financial assistance to qualified artists whose needs are the result of an unforeseen, catastrophic incident, and who lack the resources to meet that situation. 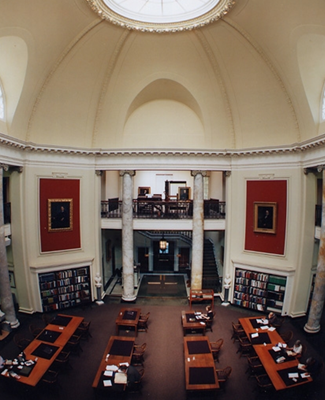 The American Antiquarian Society offers three broad categories of visiting research fellowships, designed to enable academic and independent scholars and advanced graduate students to spend an uninterrupted block of time doing research in the AAS library. An American non-profit organization, the ASF works to build international understanding with an extensive program of fellowships, grants, intern/trainee sponsorship, publishing and membership offerings. Our Artists Health Insurance Resource Center (AHIRC) has been connecting artists, craftspeople and entertainment industry workers around the country to health insurance and affordable health care since 1998. 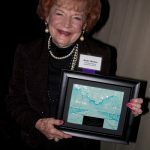 The Ruth and Harold Chenven Foundation gives unrestricted cash awards to individual artists for the continuation of their work. 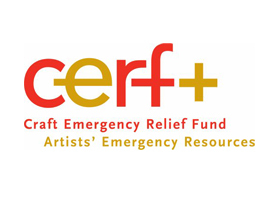 CERF+ accomplishes its mission through direct financial and educational assistance to craft artists including emergency relief assistance, business development support, and resources and referrals on topics such as health, safety, and insurance. 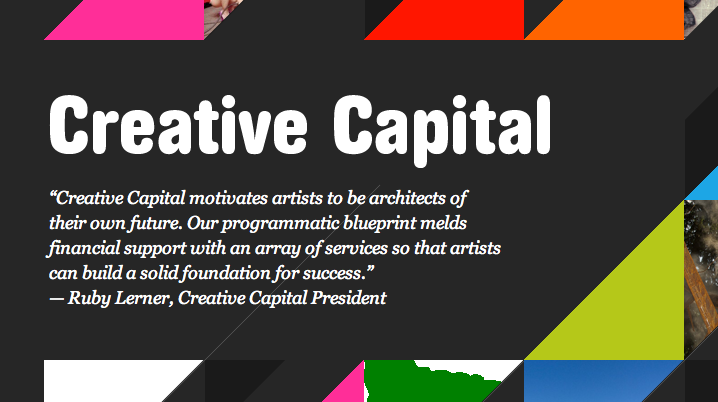 Creative Capital supports innovative and adventurous artists across the country through funding, counsel and career development services. The Space Program grants free studio space to 16 visual artists. 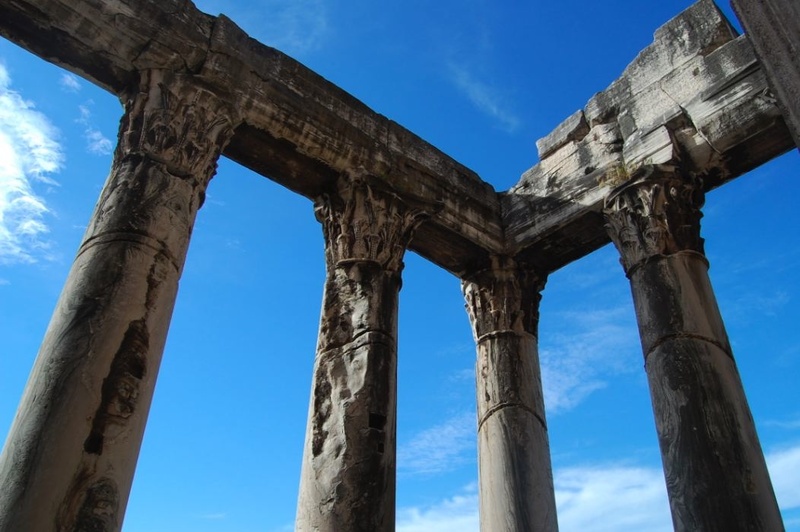 Mid-America All Indian Center, Inc.
Rome Prize Winners are invited to Rome for six months to two years to immerse themselves in the Academy community. The Ucross Foundation provides living accommodations, individual work space and uninterrupted time to approximately 85 individuals each year. Residencies vary in length from two weeks to six weeks. Women’s Studio Workshop’s workspace opportunities are partially subsidized residencies that provide concentrated work time for artists to explore new ideas or a new process or media and to interact with other professional artists. The Art Advisory Committee consists of the directors of the various attractions and arts organizations throughout Wichita and Sedgwick County. Created by the Arts Council, the Art Advisory Committee advises the Arts Council in the development and implementation of a plan to coordinate the community cultural resources for all museums/attractions/arts organizations in Wichita/Sedgwick County. The Art Advisory Committee meets quarterly at the CityArts building. The Art Advisory Committee provides recommendations to the Arts Council for the implementation of a community calendar of events, establishment of joint marketing programs for the attractions/organizations, coordination of exhibits, development of a strategic plan for increased participation and attendance, and establishment of strategies and programs to support and encourage increased cultural tourism revenue. This group is asked to meet when input form all the organizations is needed on major issues concerning arts and culture in Wichita.